Not all Chinese speakers use exactly the same written Chinese language. While people in mainland China, Singapore, and Malaysia use simplified Chinese, people in Taiwan, Hong Kong, and Macau use traditional Chinese. The main difference between simplified and traditional characters is the appearance. Simplified characters, as they are called, are (some of the) traditional characters that were simplified in order to make them easier to read and write. Traditional characters keep their original forms which have evolved over the last two thousand years. So which one should you learn? The answer depends on where you want to go. If you plan to go to Taiwan to study Chinese, be prepared to learn the traditional characters, but don’t be afraid! They may be more complicated to write, but they are actually easier to recognize since they are more pictographic. Also, it is easier to guess how they are pronounced since you receive more semantic cueing when reading them. By following the logic, if you decide to go to mainland China, you will then study the simplified characters. These are easier to write and are most useful if you plan to stay in China for a living. Whichever you decide to learn, there is no wrong decision, and both are very useful according to where you are and who you work with. And if you like a challenge, why not study both of them? HSK (Hanyu Shuiping Kaoshi, translated as the Chinese Proficiency Test) is the most popular standard Chinese language exam for foreigners and overseas Chinese. It is known all over the world and uses simplified characters. Most of the Chinese universities ask students coming to mainland China to pass the test when applying for a degree (usually asking for HSK level 4 or 5). 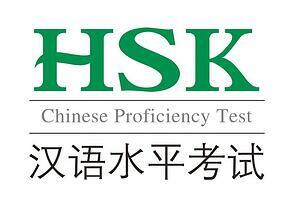 Some Chinese companies may also require an HSK certificate when hiring a foreign talent. Most importantly, the HSK certification is taken into account when applying for a Chinese working visa, and it also helps foreign students to get a scholarship from the Chinese government. TOCFL (Test of Chinese as a Foreign Language) is Taiwan’s Mandarin test. It can be taken both in simplified or traditional characters. As the HSK in mainland China, the TOCFL is sometimes required when applying for university or for a job. However, it is not when applying for any visa. This “Made in Taiwan” test is the equivalent of HSK in Taiwan, but it is known to be more complicated than the one made in China. Indeed, while the HSK Level 6 requires the knowledge of 5000 words, the advanced level of the TOCFL exam requires the knowledge of 7945! The test you should prepare also depends on where you decide to study, but the best solution would be to take one of the exams once you are in the country. Important to know: HSK cannot be taken in Taiwan, just as TOCFL cannot be taken in China. 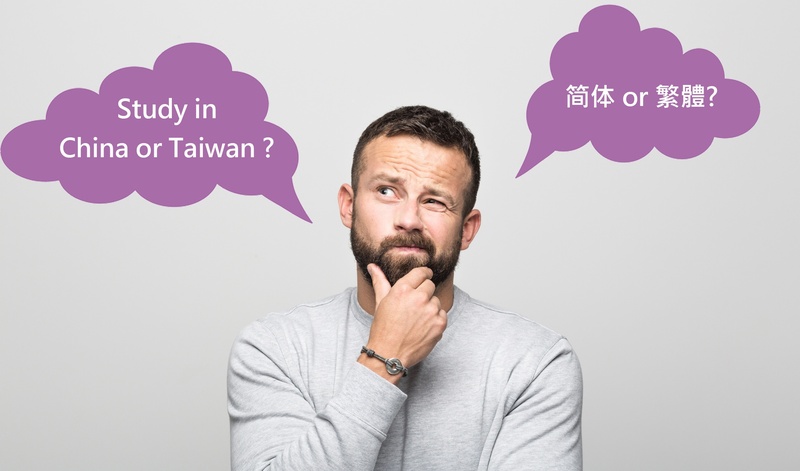 Standard Mandarin in China and standard Mandarin in Taiwan can be compared to English in the UK and English in the US, as well as French in France and French in Quebec. The language is 95% the same, although it remains some differences in vocabulary and accent. It is sometimes important not to make mistakes with certain words. For example, 土豆 tǔ dòu in China means potato, while it means peanut in Taiwan. So if you have an allergy, be careful about how you express yourself. Also, while it is normal to call a young lady 小姐 xiǎo jiě in Taiwan (which means “Miss”), it would be a huge mistake to call a woman like this in China since it is a really offensive term (except in the business world, where you can, for example, call a woman 李小姐 lǐ xiǎo jiě, which means Miss Li). So, wherever you decide to go to study Mandarin, don’t worry, because all Chinese language centers and universities teach standard Mandarin. However, be aware that China is a huge country, and that different dialects are spoken in every region. Be careful and do some research before landing in a place where most of the people speak Cantonese (for example Hong Kong). Even though the language spoken is the same, life between China and Taiwan is quite different. Is mainland China another world? Everything is digitalized, and it is SO convenient. Almost no one uses cash to pay any more. Using WeChat Pay or Alipay for a transaction is the new trend. You can even see some beggars in the street with a QR code on their cap, so the money can be transferred directly into their bank account. If you plan to come to China for studying, it is encouraged to open a bank account as soon as you are there. It is life-changing, and you can not only do transactions, but also order food, shop online, and many other things. Chinese people are filled with hospitality. If you speak Chinese and immerse yourself with the people, oftentimes you will realize that they come to accept you as part of the group. 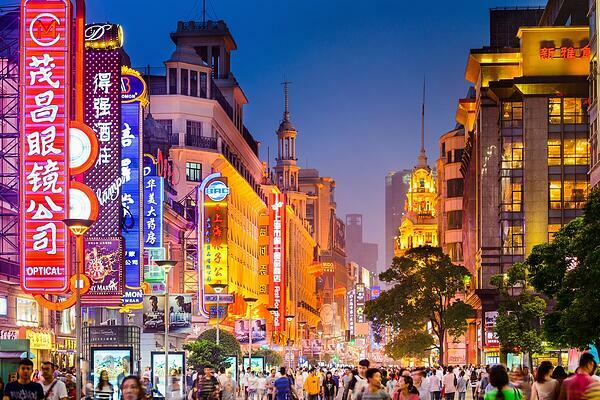 If you really want to have a culture shock and live as an authentic Chinese person, China is the place to be. Taiwan, a piece of paradise? Taiwan may not have China’s digital advantage, but life in Taiwan is so relaxing. Wherever you are, there will always be mountains, beaches, hot springs and/or night markets near you. Taiwan was ranked in 2018 2nd best place in the world for expats to live by the annual Expat Insider [Source]. Indeed, Taiwan is considered a paradise for most of the foreigners living there. Also, the culture shock is not too obvious. 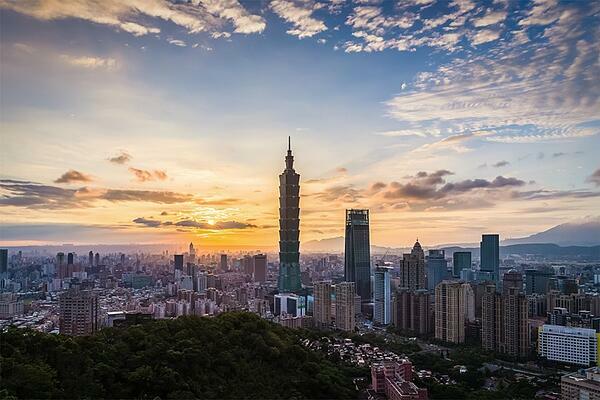 Taiwan is a softer landing for people moving to Asia for the first time. Taiwan feels more “westernized” and offers a lot of western products as well. In addition, Taiwan has deep links with Japan, and Japanese food is extremely popular there. Taiwanese people are extremely friendly and are always here to help you. If you want to live a relaxing life on a beautiful island that offers a lot of different natural resources, Taiwan is the place that would suit you perfectly. Both places are different. However, wherever you go, they will both offer you a unique experience and memories that will be engraved in your mind. 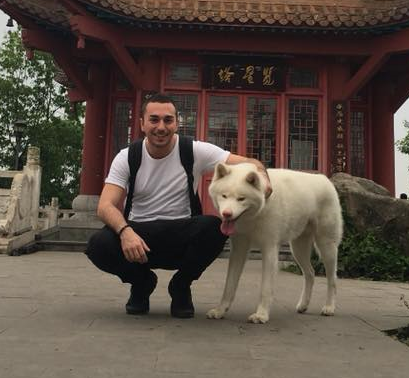 If you immerse yourself in the culture, you will have the opportunity to improve your Chinese skills quickly and experience something that you would not have expected to live before. Both places are full of surprises and will give you with many unforgettable moments. If it is impossible for you to leave the place you live in, there is still one solution that can help you improve your Chinese skills. One-on-one online private Chinese classes with TutorMing. You can not only create your own schedule and pick your own teacher, but also make fast improvements and learn a lot about the Chinese culture. TutorMing’s teachers, referred as consultants, are all certified with years of teaching experience, and undergo extensive trainings, in order to make you progress really fast. READ MORE：WHAT IS THE DIFFERENCE BETWEEN THE HSK TEST & TOCFL TEST?